PHILADELPHIA, Feb. 12, 2019 (GLOBE NEWSWIRE) -- Following its recent acceptance into Microsoft’s coveted Co-Sell program (NASDAQ:MSFT), Microshare Inc. announced the closing of $5 million in investments, with the largest share by the global investment advisor Motley Fool. Philadelphia-based Microshare, whose unique data management and sharing software enables secure revenue and efficiency models in facilities management, logistics and other sectors, says the new funding will be devoted to scaling successful pilots in Europe and North America, expansion to other global markets, and for platform and product development. Motley Fool’s investment represents the data firm’s first foray into institutional equity, a sign of the upward trajectory anticipated for Microshare’s revenue and valuation in the current climate. Industry analysts note that data management firm valuations have jumped of late. Cloud security specialist Rubrik raised $261 million at a $3.3 billion valuation in January, a step-up of well over 2x since 2017. Late last year, Veeam, a Swiss data management firm, raised $500 million from Insight Venture Partners and the Canada Pension Plan Investment Board. Microshare has raised $5 million over the past two years from strategic partners in the US and Europe, including Kerlink (EPA:ALKLK), the leading manufacturer of LoRaWAN™ IoT connectivity. "The growth rate of IoT networks and devices is staggering. We believe Microshare is in a leadership position to create solutions and standards that enable data governance, permissioning, and protection on a real-time basis across different IoT products and platforms,” shared John Keeling, Venture Partner at Motley Fool Ventures. 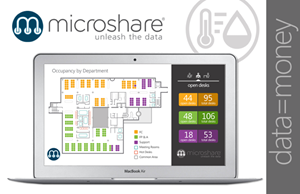 Microshare™ enables data owners to extract amplified value from digital assets by empowering them to combine data stores for actionable insight, establish and enforce sharing rights to distribute information, and monetize data for new revenue streams and business models — all with complete audit, compliance and control. Microshare is part of the LoRa Alliance™, promoting the LoRaWAN™ protocol as the leading open global standard for secure, carrier-grade IoT Low-Power Wide Area Network (LPWAN) connectivity. Microshare has offices in Philadelphia, PA, USA, and in the United Kingdom. More information at https://www.microshare.io. Based in Alexandria, Va., Motley Fool Ventures brings The Motley Fool’s investing principles and member community to venture capital. Launched in 2018, Motley Fool Ventures invests in early-stage companies that leverage technology to create a clear competitive advantage in their industry. Its dedicated team, investor community, and robust network aim to provide value to entrepreneurs beyond just capital. To learn more about Motley Fool Ventures, please visit: http://foolventures.com. 06:23p Glancy Prongay & Murray Reminds Investors of Looming Deadline in the Class Action Lawsuit Against Bridgepoint Education, Inc.